Can fasting help or hurt your heart? How does it affect your blood pressure? Growing evidence suggests benefits, but there’s more to learn. Get a cardiologist’s perspective. Do you sometimes fast for religious reasons or as a lifestyle choice? If so, you may wonder what impact fasting has on your health. Can it reduce your blood pressure? Is it healthy for your heart? Is it dangerous in certain situations? Cardiologist Haitham Ahmed, MD, sees many advantages in fasting from food for short periods. And, given the promising findings in this “emerging area” of research, he expects that more people will want to attempt it. Though it depends on what you’re hoping to accomplish (and it’s not safe for everyone), it’s beneficial to limit your food intake, in general. 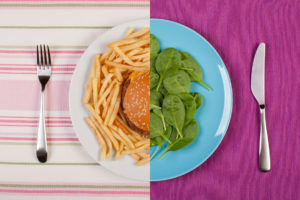 “By every measure, eating less is better,” Dr. Ahmed says. Below, he answers questions about fasting and offers some tips for exploring it. Can eating less strengthen your heart? Research shows that fasting can help lower blood pressure, reduce cholesterol, control diabetes and reduce weight. One word of caution, though: Fasting can lead to an electrolyte imbalance. This can make the heart unstable and prone to arrhythmias. 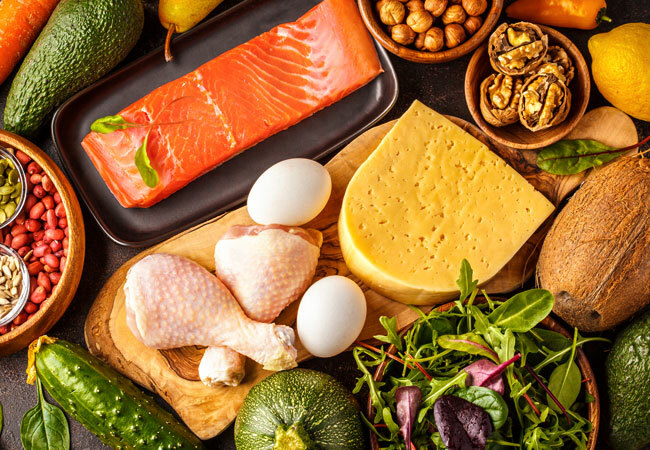 “So whenever we prescribe a protein-sparing modified fast diet, we check blood tests monthly and prescribe potassium supplementation to prevent electrolyte imbalance from occurring,” Dr. Ahmed says. Some studies also show that fasting may help prevent cancer or increase the effectiveness of chemotherapy treatment. However, much of the research on fasting is in preliminary stages. “We have a lot more to learn about fasting,” he says. Although it offers health benefits — including reduced heart disease and weight loss — it’s not really the best way to lose weight, Dr. Ahmed says. While fasting helps you drop pounds quickly, it doesn’t help you stay in shape. Fasting is not safe for everyone — so consult your physician before you begin. Fasting may also have a negative impact on people with other medical problems. Your doctor can help determine whether it is right for you, Dr. Ahmed says. 1. There are different methods of fasting. Some people fast for eight hours, 24 hours or longer. Others cut way back on calories for a certain number of days each week or month. The popular “5, 2” plan involves two days of caloric reduction each week. You eat two meals (totaling about 500 calories) on fasting days. On non-fasting days, you follow a healthy diet, but you don’t restrict calories. 2. Meal planning is essential. “You want to make sure you have adequate nutrition before and after the fast,” Dr. Ahmed says. And when you’re consuming less overall, it’s important to make sure your nutrition is sound when you do eat. Avoid foods that are high in sodium or which may cause bloating, such as canned soup and pizza. 3. Afterward, break your fast slowly. Don’t suddenly start eating everything in sight when you’re done fasting. “You don’t want to shock the system,” Dr. Ahmed says. Instead, it’s best to start by snacking on a few dates or other dried fruit, for instance. Then take a break, and then eat fruit and other light foods at first. “Whether doing a fast for lifestyle or religious reasons, it’s always wise to talk to your doctor first,” Dr. Ahmed says.